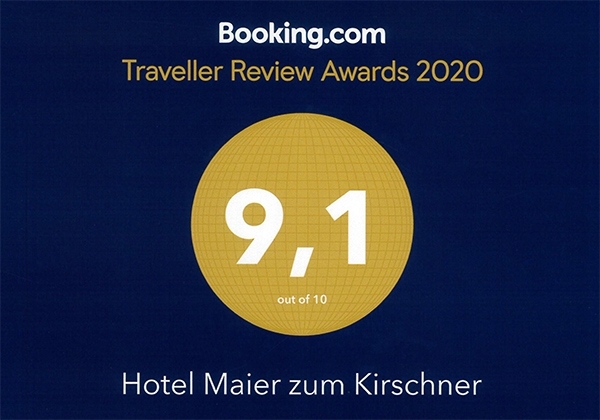 The protection of personal data has a high priority at the Hotel Maier zum Kirschner GmbH (hereinafter referred to as HMzK). We collect, store and process personal data exclusively in accordance with the applicable data protection regulations. HMzK collects, stores and uses personal data basically only for the purpose of carrying out and processing orders and payment transactions in connection with orders in the HMzK mail order, with the posting of classifieds, with the order of the newsletter and to the extent permitted by law. If you create a customer account, we will also use your usage and content data, if you do not oppose it, to merge it with the inventory data and create a pseudonymized usage profile from it. This will enable us to give you, e.g. Provide information services targeted to products and product groups that you favor, making our services more attractive and interesting to you. The collected data is used to create personal user profiles. In this way, HMzK tries to improve the service for you continuously and to inform even more individually about suitable offers and promotions. http://tools.google.com/dlpage/gaoptout?hl=de bzw. http://www.google.com/intl/de/analytics/privacyoverview.html (general information about Google Analytics and privacy). We point out that on this website Google Analytics has been extended by the code “anonymizeIp ();” to anonymize the IP addresses, whereby the last octet is deleted. HMzK uses technical and organizational security measures to protect the data we manage against accidental or intentional manipulation, loss, destruction or access by unauthorized persons. Our security measures are continuously improved in line with technological developments. This site uses SSL encryption for security reasons and to protect the transmission of sensitive content, such as the requests you send to us as the site operator. You can recognize an encrypted connection by changing the address line of the browser from “http: //” to “https: //” and the lock symbol in your browser line. If SSL encryption is enabled, the data you submit to us can not be read by third parties. or by e-mail via kontakt@hotel-maier-kirschner.de. In particular, you may revoke your consent to receive a newsletter at any time. In the case of revocation my data will be deleted at the Hotel Maier to Kirschner GmbH with the receipt of my revocation.